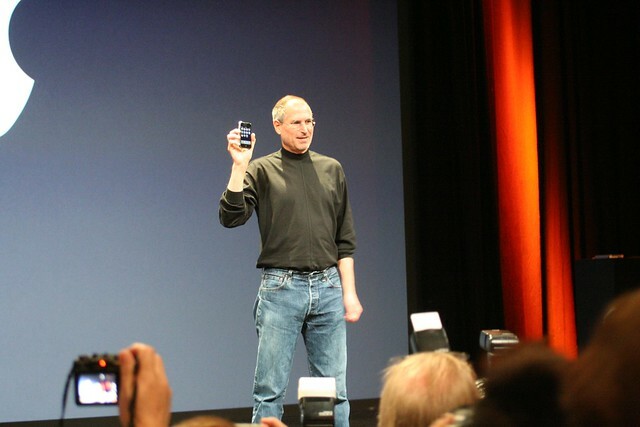 10 years ago from now, Steve Jobs introduced the original iPhone. 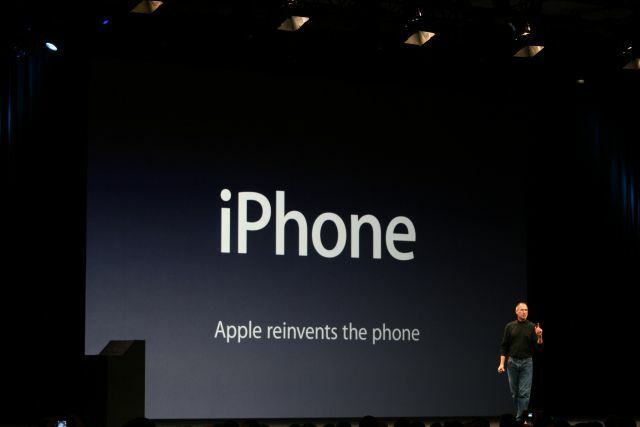 At the stage of MACWORLD keynote Steve Jobs declared that “Apple reinvents the phone.” In a few years, the world learns it had not just reinvented the phones but the whole digital eco-system for that matter. Within five years, it was so natural for Apple to become the world’s most valued company. On January 25, 2007, right after iPhone's introduction, I wrote a series of article (in Japanese) titled “iPhone is the first tree that would start a new forest.’ I was right. But I couldn’t imagine it would have been forests this big. A decade has past since the legendary intro. So much of what we have been taking for granted today wasn’t the way it was in 2006. So let me summarise it from my own perspective. First there are some obvious changes. Thanks to the App economy, there are Apps to do almost anything. Below you will see an installation from “NOSIGNER: REASON BEHIND FORMS” exhibition which shows how much tools have been integrated into iPhone; NOSIGNER is a Japanese design firm. The above list can go on and on. But here on my blog, I would like to focus more on the fundamental changes. Before iPhone came along many other people were worried about ‘digital divide.’ After Internet became popular with Windows 95 and iMac, the world was divided in two: those who have & can operate a PC (or Mac) and search the Internet and those who don’t. By the time, iPad came out in 2010, I have realised that we are no longer hearing that term. Perhaps, in this area, the more affordable Android devices made a bigger contribution; but cost to access to Internet has dramatically decreased thanks to the smartphones. Before smartphones, we had to buy a PC and a router, install DSL or fibre optics and sign up for an ISP. But smartphones made it simple. Even for the rather expensive iPhones, the ‘cost of owning Internet access’ has dramatically decreased compared to PC-era. The Internet population is growing at tens of millions per year; and most of them start their life on the Internet on smartphones. Speaking of the ‘digital devide’ after 2010, I started to see reverse phenomenon. Of course, those white colour workers who had the Internet before iPhone also make some progress with iPhone/iPad such as having better access to the corporate network from outside, etc. But bigger leaps were happening in industries which didn’t take advantage of PC revolution such as people in Primary Industry (farming, fishing, forestry, etc. ), tourism, education, fashion, medical field, etc., etc. Smartphones especially the iPhones has also changed the way we use the Internet. Before iPhone, we have believed ‘search window’ is the best gateway to the Internet; but today, the smartphone Apps are replacing it. And slowly we are migrating to the era of voice commands; voice commands are more efficient in many situations. For example, you can say ‘Hey Siri, text my wife that ‘I am on my way home’ and have a message sent. Think how many steps you will need to achieve the same with touch operation). Speaking of how we use the Internet, the nature of social media has also changed in a big way. Twitter came around about the same time as iPhone did. Before iPhone, most of the tweets were tweeted from within some rooms using PCs and were without photos; but soon, we saw so many Tweets coming from real world outside. This trends became well-known especially after Iranian presidential election in 2009 and it kept growing. Arab Spring and Tohoku Earthquake/Tsunami in 2011 would have shown different turned out if it were not for iPhones+Twitter combination. Of course, not all the changes are for good. At the beginning this transformation of social media looked good, but gradually, we found ourselves in an over-connected society and we began to see a big swing-back in recent years. Snapchat and other forms of volatility media with built-in rights to be forgotten are one. And dissociation of our social-selves and real-selves are the other. The latter surprised us twice last year as the real outcome of BREXIT and US Presidential election. Our world has changed so much in the last decade. As the swing-back of the change is catching fire、maybe it is time for us to stop and examine what happened in the last decade and make a course correction for the decade to come. I would also like to discuss in later posts some of the things that other companies should have learned from Apple but hadn’t.